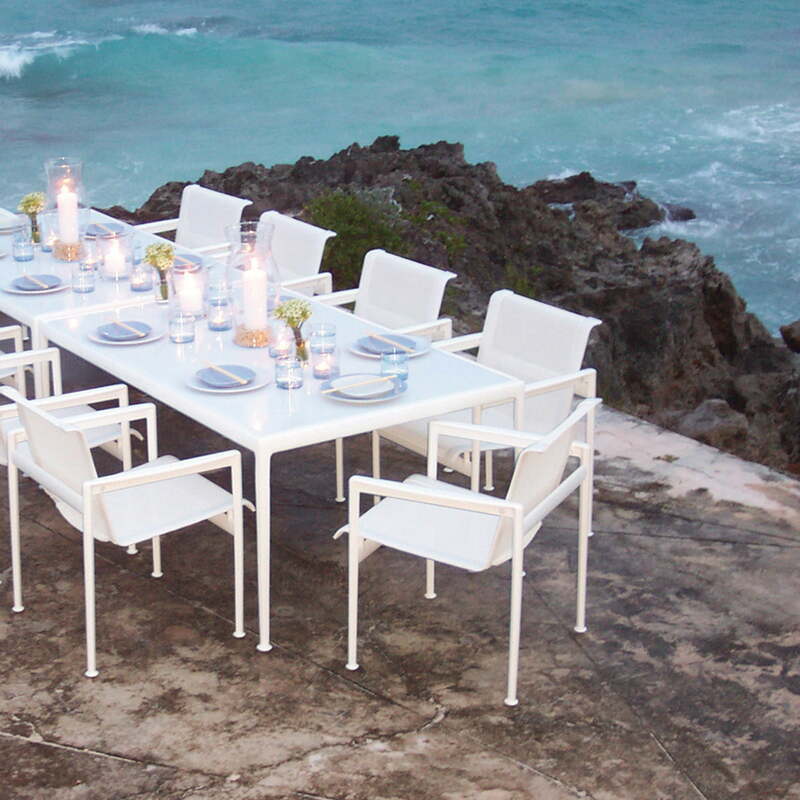 The 1966 series by Richard Schultz was the pioneer for modern outdoor furniture. 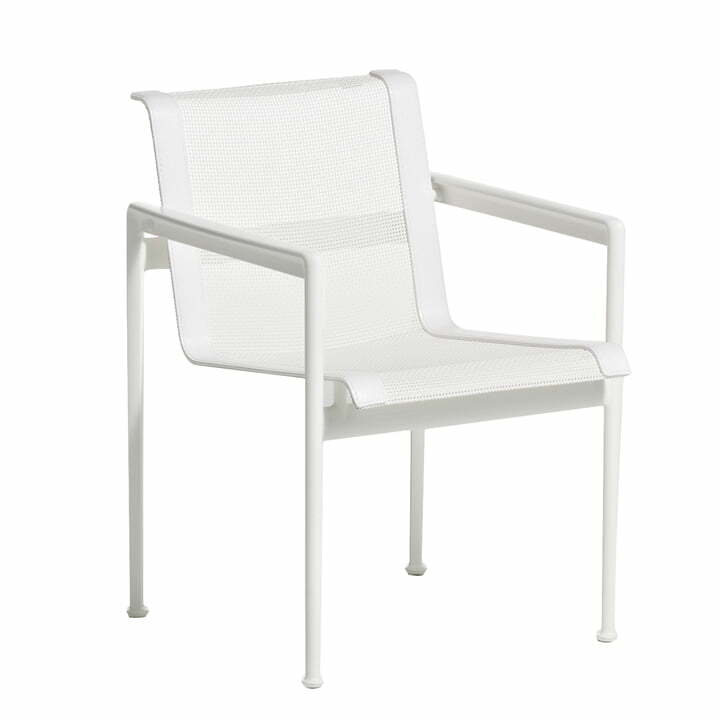 The dining chair out of the collection by Knoll ensures that it is also possible to dine stylishly outdoors. The furniture pieces out of the 1966 series initially emerged by a demand of Florence Knoll. Richard Schultz was asked to create resistant furniture, which would also resist the salty air near the sea. This is how the American designed created a series of furniture pieces which wasn’t only resistant, but also trend-setting for later tastes: the 1966 series. 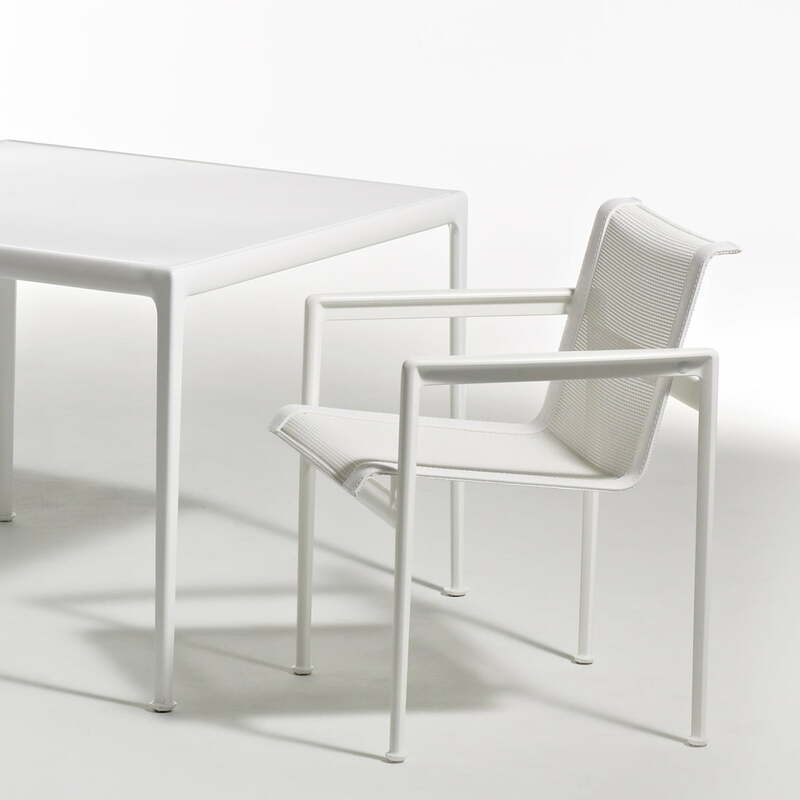 With a seat height of 45.5 cm and armrests, the fabrics coated 1966 dining chair offers pleasant seat comfort and it also invites for long relaxing evenings at the dining table outdoors. Characteristics: The 1966 chairs collection by Richard Schultz includes an armchair, a chair without armrests, a lounge chair and two loungers. Construction: Frame out of powder coated aluminium, joints out of stainless steel, plastic pads. Surfaces: Upholstery out of polyester coated with bent vinyl.